For a second consecutive year the clients of GEOMAN publishing and printing company can take a look at the catalog with all themes and illustrated calendars included in it. Our debut participation at the PAPERWORLD 2014 ended up with a lot of new acquaintances and contacts with distributors all across Europe. Our first sales have already become a fact and our calendars can now be seen and purchased at the major bookstores in Germany, France, and Spain. You can visit us again at PAPERWORLD, hall 5.1, stand C21. We will offer you greater variety of new themes and more competitive prices. In 2015 GEOMAN publishing and printing company is going to take part in the promotional market for the first time. You can visit us at PSI Dusseldorf, hall 11, stand B25. GEOMAN has more than 20 years of experience at the promotional market and our illustrated calendars have been present at the markets in the countries of the Balkans and the Near East. GEOMAN was established in 1993 as an independent advertising agency. Hiring extremely qualified teams of designers, computer experts, photographers and print production specialists, the company focused primarily on creation calendars and various print advertisements. After several profitable years of successful business activities, GEOMAN had gained a good will and established stable client relationships. Along with the acquisition of all necessary fixed assets and equipment we expanded our staff with a significant number of knowledgeable and motivated people, specialized in the service areas we developed. We gathered experience in the graphic design, printed advertisement and calendars publishing. 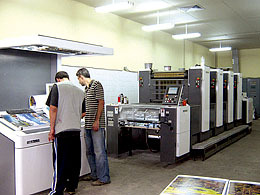 We employ a team of designers, computer experts, photographers and printed production specialists.